1) Cut pandan leaves into small pieces. Blend pandan leaves with 200ml of coconut milk and squeeze through a fine strainer (I didn’t blend with water because I didn’t want to dilute the coconut milk). 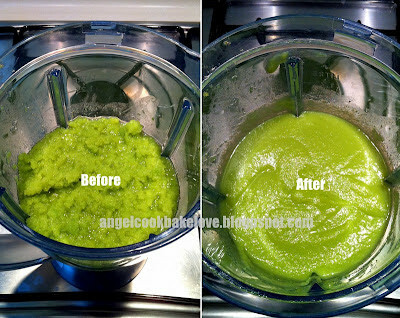 Mix with the balance 200ml of coconut milk and pandan essence (if using). 2) Beat eggs and sugar lightly till sugar dissolved. Add into bread machine pan together with the pandan coconut milk. Select "Jam" function. 3) Once done, let jam cool in bread pan for a while before transferring to a blender to blend till smooth (a few pulses with do, depends on how fine you want it to be, I prefer little coarse texture). 4) Store in sterilized glass jars and keep in fridge after completely cool down. 1) Crack eggs in a measuring jug to measure. I used 6 extra large eggs of each net weight between 62g-69g. 2) The last jar of kaya is already almost 3 weeks old and it is still looking good. Make sure use clean and dry utensil to pick up the kaya each time. 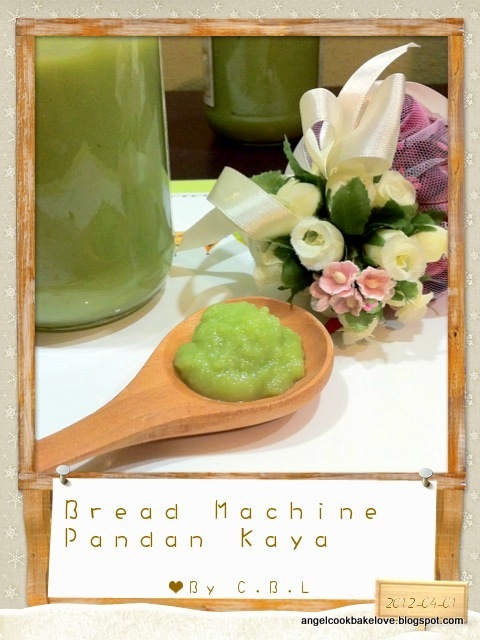 3) Refer to my first bread machine kaya post HERE for more kitchen notes. U can do it over a double boiler but u need to stir regularly for about one hour. Click on my peevioua post in note 3. I made this recently too !! But my colour not as nice a green as yours ! Did you use 100% natural pandan juice? I used to add commercial pandan paste, the colour is not as nice, it's a bit artificial. 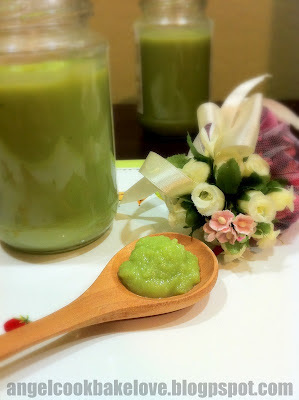 I made this again yesterday, I didn't blend pandan leaves with the coconut milk, instead i used 3 tbsp home-made pandan essence, the colour is greener and the pandan fragrance is even more intense. 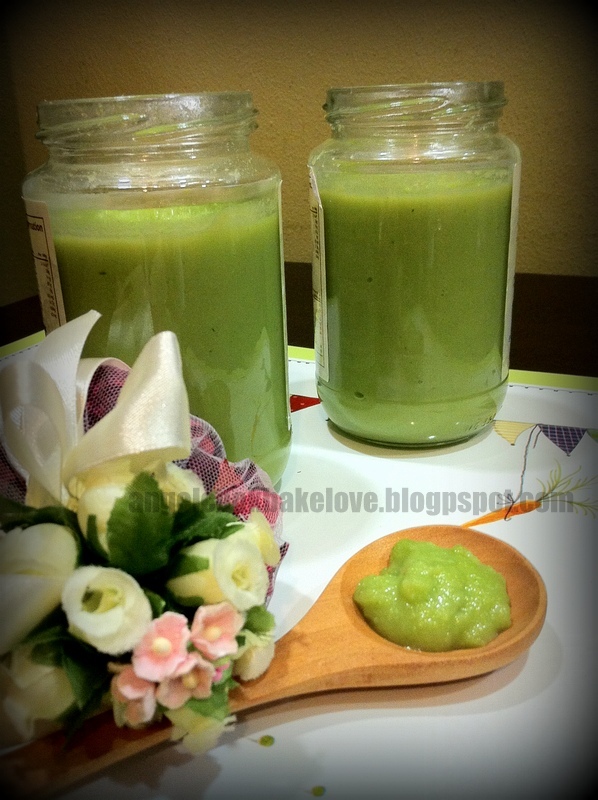 What is home-made pandan essence? when you beat the egg and sugar lightly..wat does it means? must beat until stiff peak or soft peak or as long they mix well? must all sugar melt? or can some sugar still a bit not melt?